There isn't enough in the way of All Hallows' Eve theme programming and revival series in the local cinema. Which is a shame as this is truly the season for genre film and it's frights, disorienting surrealism and crepuscular atmospheres. Thankfully, Scarecrow Video steps up with their October screening room calendar and curated Halloween selection of domestic and international horror, sci-fi and genre movies. And this year, the Psychotronic Challenge returns for it's second installment, daring viewers to select a new theme category for every day in October. One of the longest running, and most consistently satisfying of the local theater series has been The Grand Illusion Cinema's monthlong All Monsters Attack calendar of horror, creature features, classic thrillers, sci-fi, and cult cinema. This year's installment features a set of the core genre gems that audiences have come to expect, with a side of European works from the fringe. 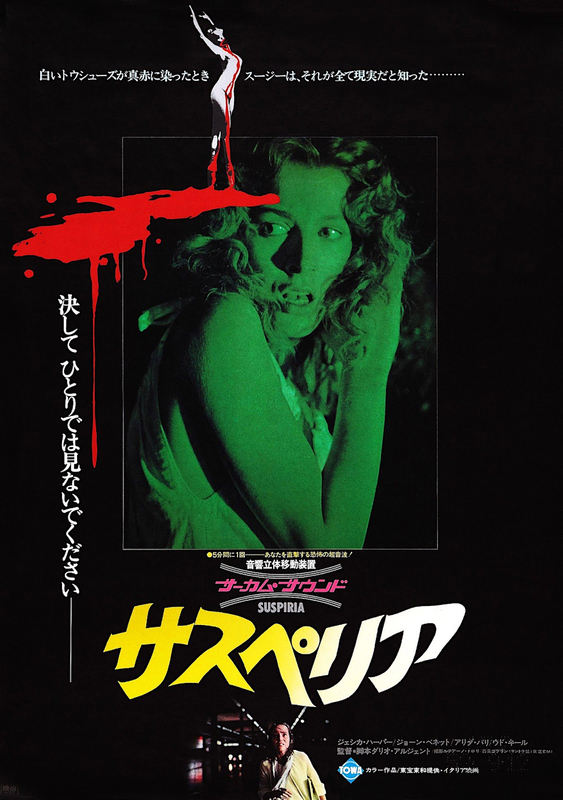 Looking back, the citywide cinematic offering saw a great set of films exploring desolate worlds, classic Japanese horror, a vampiric romaticism double feature and a night of music from a maestro of Italian horror. Also in the way of previous Halloween seasons of note, the local arthouse cinemas presented a small abundance on the theme of the haunted house in 2015, and 2013 saw no small number of invaders from beyond. This year, thanks to The Chicago Cinema Society and their discovery of a uncut 35mm print of Dario Argento’s “Suspiria” that had sat in a storage room of a derelict theater since it was last screened in 1978, Northwest Film Forum will host the two night stopover in Seattle. Following on its heals, Film Forum has also programmed a finely-tuned monthlong series of "The Italian Masters of Shock and Gore", with a selection of Yellow Cinema gems, aptly titled, "Terrore Giallo!". That same week also sees the Italian progressive rock legends Goblin make a return to Neumos, for another of the stateside tours since their reactivation in 2005. The quartet came to greater prominence within Giallo circles in the late 70s with a string of scores to Dario Argento's now classic "Profondo Rosso", "Tenebrae", and the aforementioned, "Suspiria". Seen in fragmented and recombinant lineups in the last decade, this current iteration of the band on their domestic "Sound of Fear" tour, does not include in it's numbers, keyboardist Claudio Simonetti. Rounding out the selection, SIFF Cinema do their bit with a one-night screening of John Carpenter's influential "Halloween", followed by a weekend run of George Romero's classic "Night of the Living Dead". Which, it should be noted, this year the director who birthed the very genre of the living undead on film, passed away, "George Romero, Father of the Zombie Movie, Dies at Age 77". It should also be said that the year also saw the loss of one of the greats of American genre cinema, and progenitor of the modern horror film, with the death of "Tobe Hooper: The Director Who Took a Chainsaw to Wholesome Family Life".